Have you driven a 1989 Ford Sapphire? Ford Sapphire 2.0igle Automatic — The reason I like this car so much 'tis because my dad rased his children in Sierras. 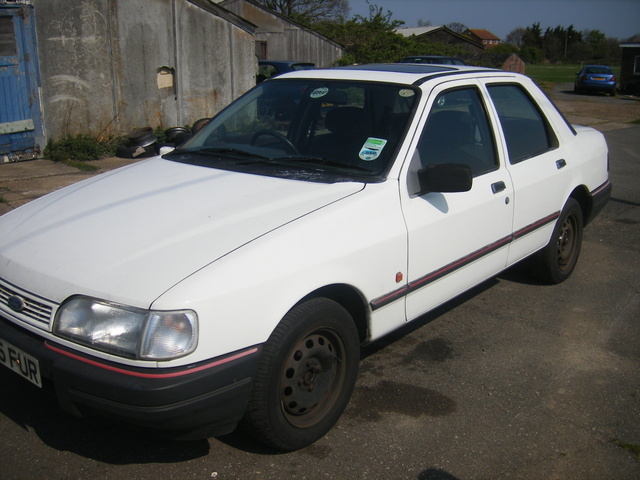 our first one was a very standard creame old shape 2.0 GL Sierra. He lost it due to a financial downfall... the next one he got was a latter model. A red stationwaggon. also a 2.0 GL. Now that beauty was the reason I talked a bump into my moms head to buying a Sapphire. She's a 2.0 iGLE Automatic,1989 model. Metallic blue and in a verry pretty condition with only 127000km's on it when we baught her. She's quite thirsty compared to the other two garbureto version my dad has, but I'm not kinda into the performance or quality, thoug I know she is all of those. I actualy prefer ger as a rellic. Pros: Beauty! Quite nippy on the performance for her age.